2013-2014 New Year’s Eve Alcathon! 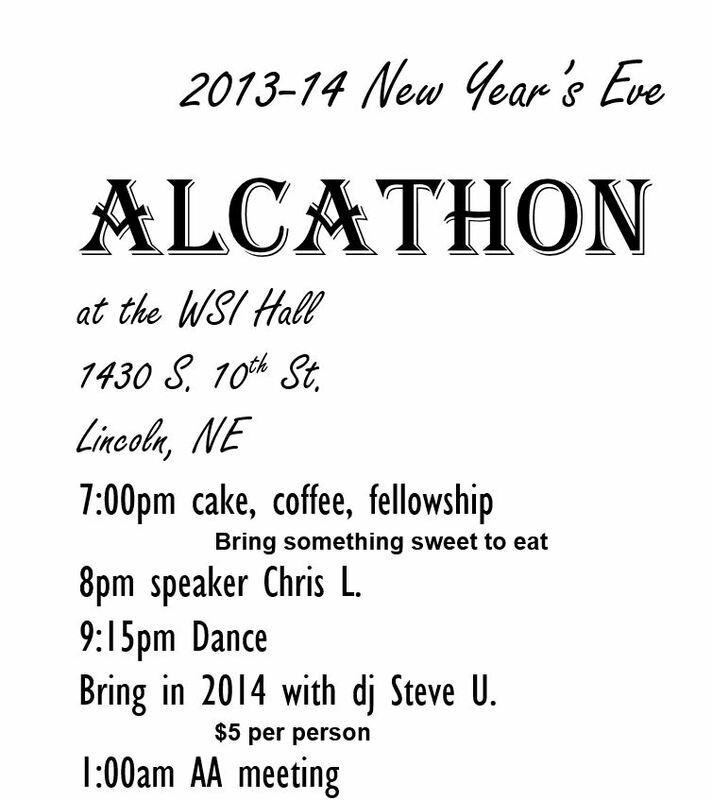 – Lincoln Nebraska A.A.
Home › Announcements › 2013-2014 New Year’s Eve Alcathon! 2013-2014 New Year’s Eve Alcathon!